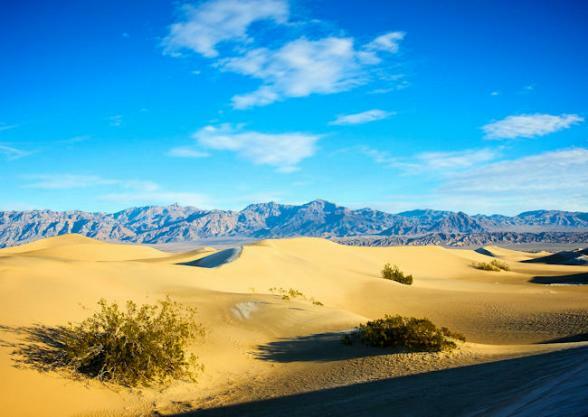 This eight-day escorted tour combines all of the best and unique National Parks California has to offer from Kings Canyon and Sequoia National Park to stargazing and learning about early life in the Sierras, Mammoth Lakes and Death Valley. 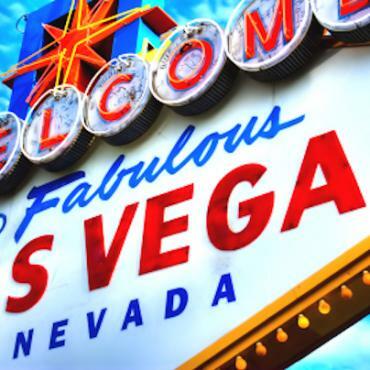 Welcome to glittering Las Vegas. 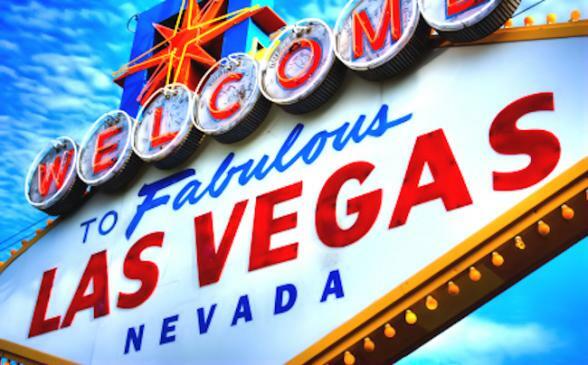 Get acclimated and relax at your hotel situated on the famous Las Vegas Strip. At 6 p.m. meet your Travel Director and travelling companions for a Welcome Reception at your hotel. Today, discover North America's lowest, hottest and driest point as you enter Death Valley National Park, the largest National Park in the contiguous United States. Enjoy scenic views at Zabriskie Point over the inferno that is Death Valley, learn about the valley's unique geological features, and enjoy sweeping views of desert gorges, striking peaks, and miles of sand dunes as your Travel Director shares fascinating facts about the area's unique history and intriguing weather patterns. See if you can spot wild burros, bighorn sheep or lizard while taking in the views. 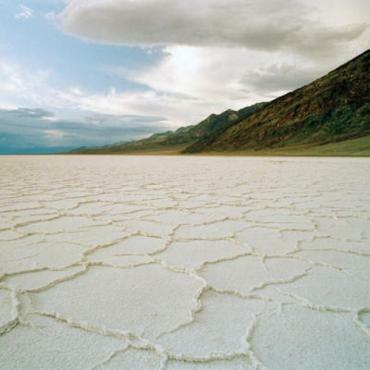 After lunch at the historic Inn at Furnace Creek Resort, dip 282 feet (86 metres) below sea level at the Badwater Basin, the lowest point in the Western Hemisphere. No putter required at Devil's Golf Course-a massive saltpan of jagged spires-where "only the devil could play golf on such rough links." 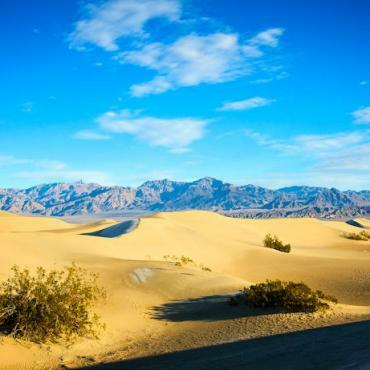 After lunch at Furnace Creek, continue through the desert landscape of Death Valley and start the ascent on the eastern Slope of the Sierra Nevada Mountains. Arrive in Mammoth Lakes for a relaxing two-night stay and enjoy dinner. 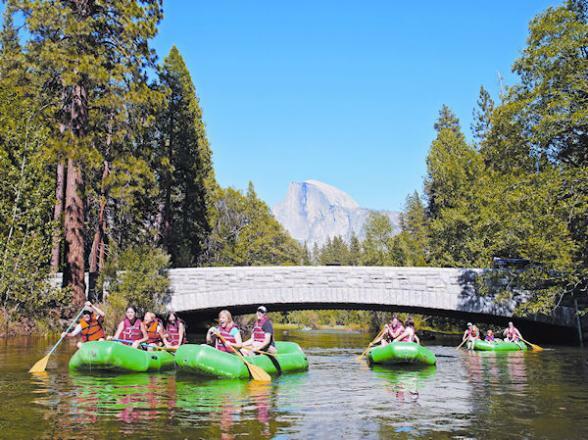 Enjoy a full day in Mammoth Lakes, California's premier mountain resort. 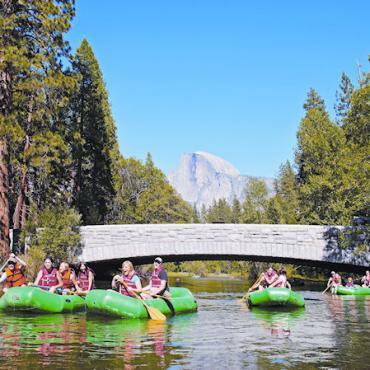 The Sierra Nevada Mountain Range offers some of the most spectacular scenery in the world and Mammoth Lakes is right in the heart of it all. See for yourself with a ride up the Scenic Gondola to the top of Mammoth Mountain, where you'll enjoy 360-degree views of the Sierras. Next is Devils Postpile National Historic Monument, resembling a tidy 60 foot (18 metre) tall lumber pile created by giants. Continue on a short trail down to Rainbow Falls and indulge in the beauty that this area has to offer. The rest of the day is yours to do as you please-explore the town, go hiking, or relax by the swimming pool at your superb resort. 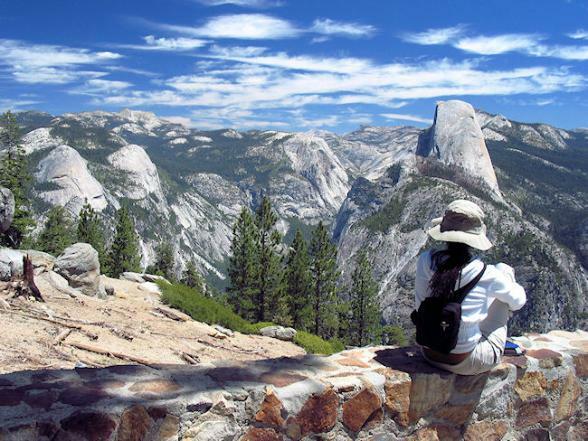 Head north, travelling across the Tioga Pass and enter Yosemite National Park, one of the crown jewels in the National Park system and a UNESCO World Heritage Site. (Weather conditions may cause the Tioga pass to be closed to traffic, typically mid-Oct to the end of May. An alternate route and a hotel in Lake Tahoe will be used.) 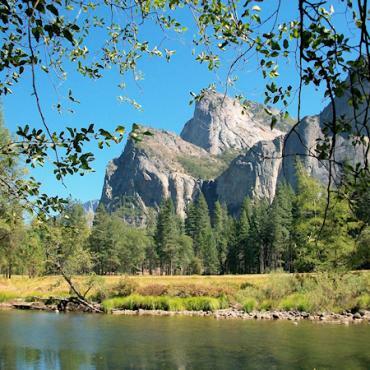 Drive past Tenaya Lake and Tuolumne Meadows as you make your way down to Yosemite Valley. Discover the natural wonders of Yosemite National Park aboard a special valley floor tour, with opportunities to explore. Led by a Park Ranger and Local Specialist, you'll get to see all of the valley highlights, as you learn about the natural history, indigenous peoples, the first non-indigenous settlers, flora and the fauna throughout the park. Then head to your accommodation, located inside the National Park, giving you more time to enjoy the park when the day visitors have left. 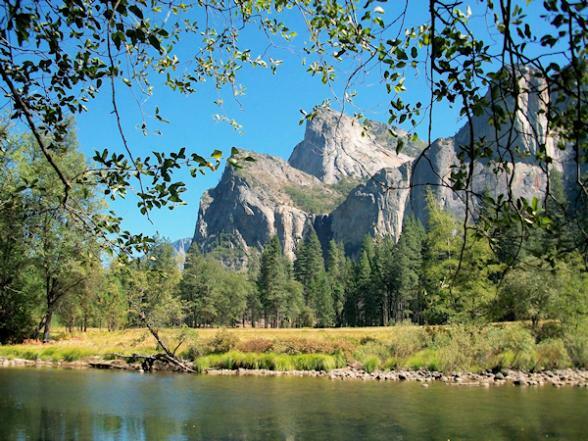 As you leave Yosemite National Park, stop at one of the most photographed vistas in the world, providing a panoramic view of Yosemite Valley, including El Capitan, Half Dome, Cathedral Rocks, and Bridal Veil Falls. 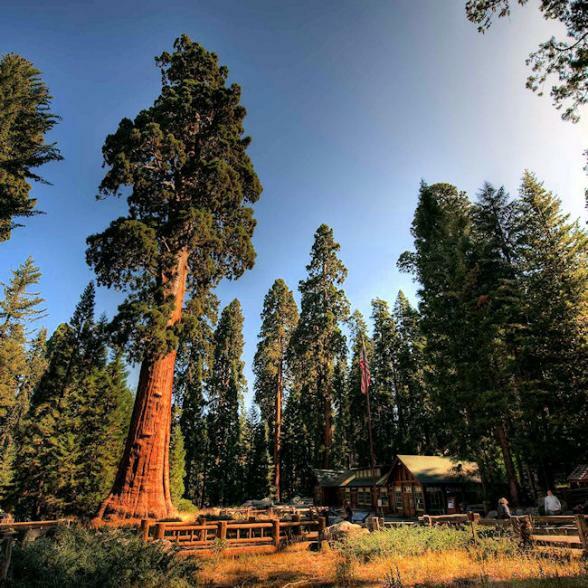 Stop at the Kings Canyon Visitor Center and stretch your legs on a short hike to the General Grant Tree, the second largest tree in the world. 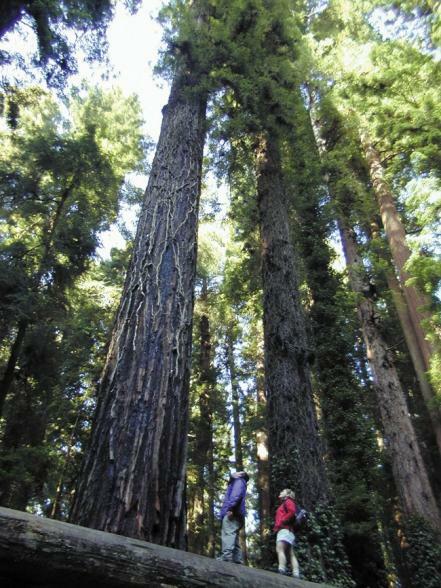 Today, these two National Parks protect nearly half of the remaining sequoias in the world. 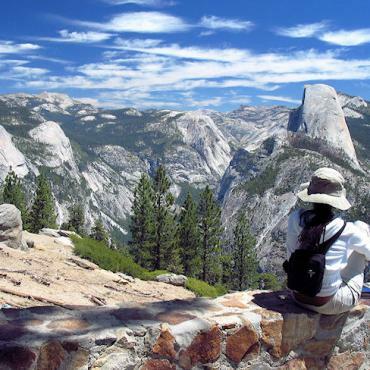 Stop at Kings Canyon Lookout for a bird's eye view of the canyon and continue along the Majestic Mountain Loop, winding through groves of majestic sequoias before arriving at Sequoia National Park, a stunning area near the southern end of California's famous mountain range. This evening, after dinner, immerse yourself in a stargazing program as a naturalist and Local Specialist guides you through the star spangled sky, far away from the city lights. Explore this "Land of Giants" further with a walk along the General Sherman Tree Loop trail which culminates at the base of the General Sherman Tree-the world's largest living thing, estimated to be over 2,200 years old.Stop at the Giant Forest Museum, where you learn about the history and ecology of the giant sequoias and enjoy a short movie presentation the giant sequoia ecology and fire inside the replica of a burned-out giant sequoia. 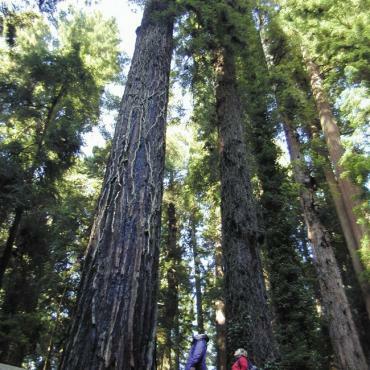 Walk the Big Trees Trail while enjoying the fresh air of the giant redwood forest. Use the park's complimentary shuttle system to explore further on your own. Perhaps climb up Moro Rock, a massive granite formation right in the center of Sequoia National Park. Old West grilling doesn't get any more authentic than at lunch today as you enjoy an alfresco, all-you-can-eat barbecue and Regional Meal in beautiful Wolverton Meadow while a living-history re-enactor, a Local Specialist, tells stories of early life in the mountains. The rest of the day is yours to explore at your own pace. Descend through the spectacular Sierra Nevada and the Los Padres National Forest before arriving in Los Angeles, the City of Angels. Cruise down Sunset Boulevard as you make your way to Tinseltown, Hollywood. 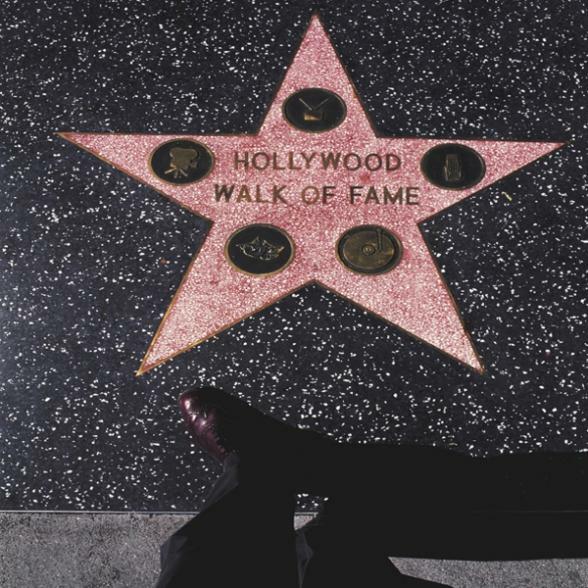 Here you'll be joined by a Local Specialist for a guided walking tour taking in Hollywood's most famous icons: the Hollywood Sign, Grauman's Chinese Theatre and the Hollywood Walk of Fame. Tonight, join your Travel Director and newfound friends for a Farewell Dinner. Today, a transfer is provided to Los Angeles International Airport. This is the end of your tour but doesn't have to be the end of your adventure. Perhaps you may decide to extend your stay and travel to San Francisco or maybe include a city stop over at New York or Boston before heading back to the UK. 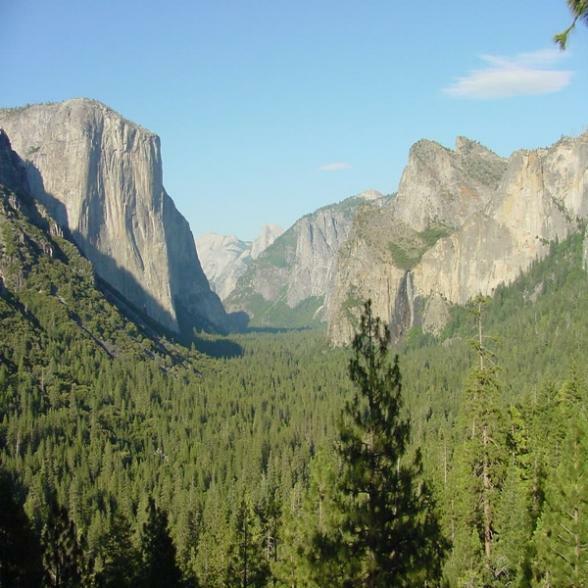 Call the USA travel specialists at Bon Voyage to discuss your perfect California's Great National Parks - Trafalgar Escorted Holiday.